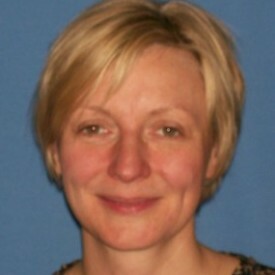 Miss Deborah Cross is a Consultant Obstetrician and Gynaecologist, as well as the Lead for Antenatal Services. She has an interest in medical education. I trained and worked initially in London before moving back to Yorkshire to complete my specialist training in obstetrics and gynaecology. I have a special interest in medical education (Diploma in Medical Education) and have experience in training at undergraduate and postgraduate level. I have worked, or currently work in a variety of related roles such as College Tutor for the Deanery, Deputy Director of Medical Education at Harrogate & District NHS Foundation Trust and for the Curriculum Committee at the Royal College of Obstetricians and Gynaecologists. I am also the Lead for Antenatal Services.